I had been writing for other publishers since the late 1990s and approached a transport publisher to produce a book I had in mind about the FX4 taxi. That company was dissolved on the death of the proprietor, so it seemed like my project would collapse. 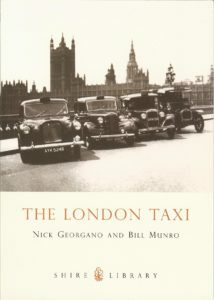 But I had created, and had been publishing Vintage Taxi, the magazine of the London Vintage Taxi Association and in doing so gained the experience and software to typeset the book. So, I thought, why not publish it myself? That’s how Taxi Jubilee – Fifty Years of the Austin FX4 London Taxi came about. I then realised I needed an imprint to publish it under in double-quick time, so I chose the name of a village just south of where I live – Earlswood! The opportunity soon followed to diversify, when I took on An Italian Home – Settling by Lake Como, the autobiography of ex-pat English artist Paul Wright. Since then, I published three more books on taxis and added to the biography portfolio, producing both print and ebook editions. I no longer publish biographies, though. 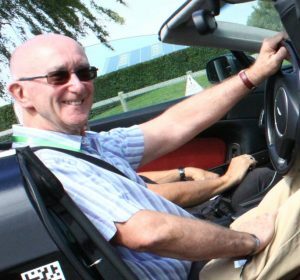 They were fun to do and I met some really nice people, but marketing them spread my resources too thinly, so I returned the titles to the authors and focussed on automotive topics. I’m pleased to say the biographies are still in print through other outlets. Taxis have not been my sole interest. 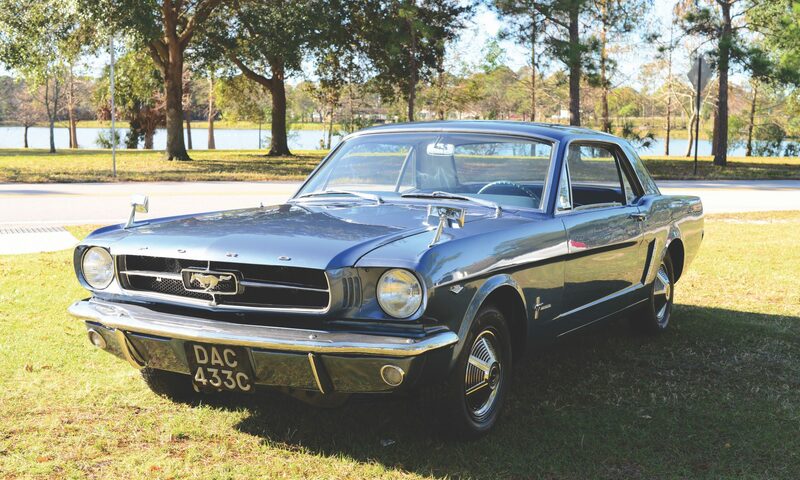 During my teens, at school I was actively involved with the British Hot Rod Association, helping to run model drag races and road and customs shows. 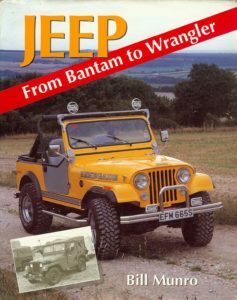 I gained an interest in Ferguson four-wheel drive in the late 1990s when I wrote Jeep, from Bantam to Wrangler, which prompted research into the topic, which will emerge as Traction for Sale, scheduled for publication later this year. This in turn revived my interest in motor racing in all forms. I now run Earlswood Press and write books and magazine articles on a full time basis. You can see the topics I’m researching below, so if you are interested in any of these, want to ask a question or can help in any way, I’d be very pleased to hear from you. 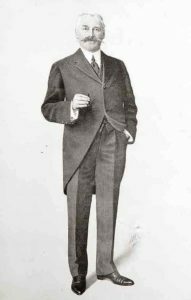 Largely forgotten by today’s students of industrial and naval history, William Beardmore, Baron Invernairn played a pivotal role in the prosperity of late nineteenth and early twentieth century Glasgow, his adopted city. After the Great War, Beardmore earned the accolade, “The Field Marshall of Industry” as well as a peerage for his great contribution to the output of munitions. In 1919 he changed tack and began developing many different modes of transport, but his failure to deal with the consequences of the economic climate of the 1920s crippled the company and he was forced out. He died in 1936, in his eightieth year. This is a long-term project and I would very much like to hear from anyone with any connections with Beardmore, his wife, Elspeth (née Tullis), or anyone who has an interest in either the Beardmores or the products of the various companies. 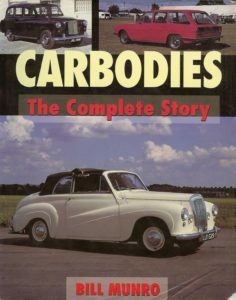 My first book, Carbodies – the Complete Story, does what is says on the cover! It deals in detail with the Coventry coachbuilder that is now The London Taxi Company. A second edition is the subject of on-going discussions. I continue to be surprised at the amount of material still around concerning Carbodies and the company’s products and I’m always keen to hear from anyone who has information to share or has questions to ask. I’m always pleased to receive the wide variety of enquiries sent via the Internet and I continue to welcome them, whether they are about current titles, the Earlswood titles in progress or any other of my interests. I’m is happy to help fellow authors in ensuring that those important details concerning London taxicabs; their hiring, the technical details or whatever may be relevant to the storyline, are accurate. If you’re stumped for some detail, do get in touch. I can also offer some help for people researching their family history, where ancestors with the occupations, “cab driver”, “cab proprietor”, “taxi driver” or similar appear in London entries in a census or a birth, death or marriage certificate. I’m also keen to hear from anyone who has written a book they think would fit in with the Earlswood Press catalogue. If you are an author seeking a publisher, find out more about what Earlswood Press is looking for. It could be argued that if Carbodies had not existed, the rest of the British motor industry would be very different. Known now as The London Taxi Company, the maker of the classic London taxi, Carbodies has a long and fascinating history. 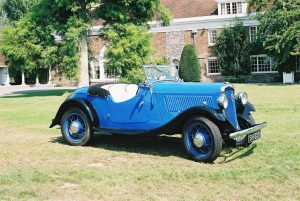 It has supplied bodies, conversions and body components to such famous historic names as MG, Alvis, Daimler, the Rootes Group, Ford and Triumph; a list that reads like a Who’s Who of motoring. 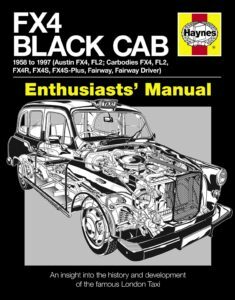 Part of a range of Enthusiast Manuals from Haynes, this book traces the history and development of the ubiquitous Austin FX4 London Taxi, built between 1958 and 1997. The author follows the evolution of the taxi and its development, covering its history and its technical details in great depth. Illustrated throughout with many black and white photographs, The London Taxi follows the development of the taxi, painting an image of the changing lifestyles of Londoners through the context of the growing cab trade and the many different styles of taxi that have served the people of London. A handy pocket guide to some of the most fascinating vehicles to be found on London’s streets. 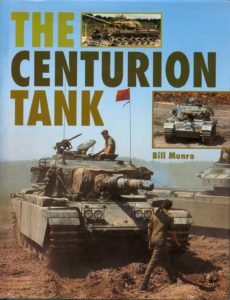 The Centurion was the British Army’s first standard post-World War Two main battle tank. It was first used in combat in the Korean War, and was used by other countries’ armed forces over the next thirty years. Charts the Centurion’s development and service from its inception to the present day, describing all its versions including armoured recovery vehicles and engineers’ vehicles. 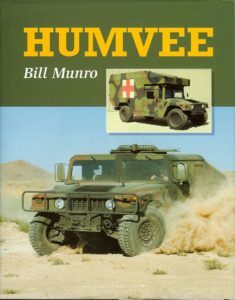 Developed towards the end of the Cold War as a replacement for the MUTT and other small to medium US military vehicles, the HMMWV or Humvee came to prominence in the First Gulf War has proved itself a most versatile and durable vehicle. It can be equipped for many roles, including light truck, weapons carrier, shelter carrier and ambulance. Its outstanding off-road ability led to the development of a civilian version. 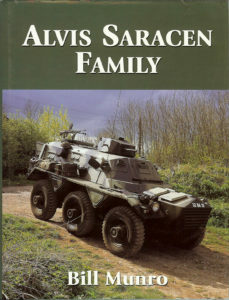 A six-wheeled chassis designed by the Fighting Vehicle Research Establishment provided a standardised base for two armoured fighting vehicles; the FV600 Saladin armoured car, FV601 Saracen armoured personnel carrier, the soft-skinned FV651 fire crash tender and FV620 Stalwart amphibious load carrier. This story is drawn from works records and interviews with its design engineers.